The soil of our estate in Collagù is composed of clay, sandstone and marl and was originated by the lifting of the prehistoric seabed. The climate is fresh, with a good diurnal temperature variation. 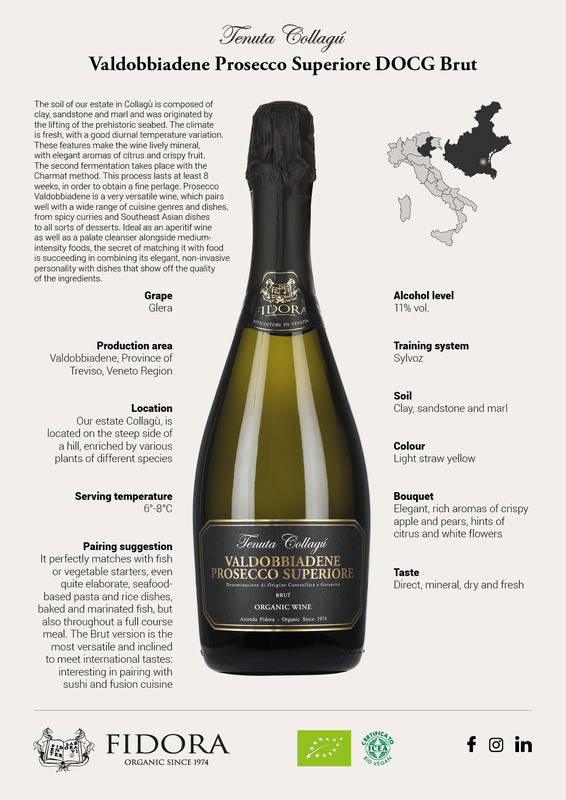 These features make the wine lively mineral, with elegant aromas of citrus and crispy fruit. The second fermentation takes place with the Charmat method. This process lasts at least 8 weeks, in order to obtain a fine perlage. 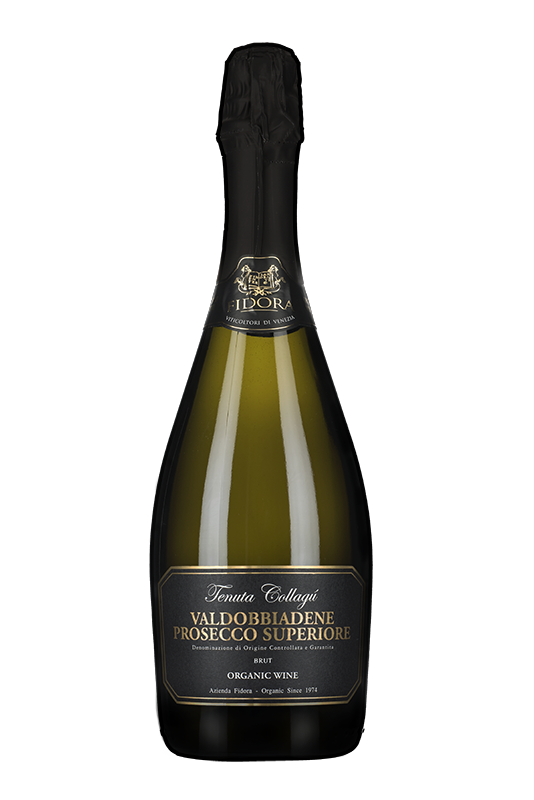 Prosecco Valdobbiadene is a very versatile wine, which pairs well with a wide range of cuisine genres and dishes, from spicy curries and Southeast Asian dishes to all sorts of desserts. Ideal as an aperitif wine as well as a palate cleanser alongside medium-intensity foods, the secret of matching it with food is succeeding in combining its elegant, non-invasive personality with dishes that show off the quality of the ingredients.